Why does LooKorea Recommend Goshiwon? A Goshiwon is a small and economical living quarters. It is inexpensive and doesn't require a deposit. Also, some Goshiwons have private showers and are fully-furnished. Reason 1: No deposit Usually you don't need to put down a deposit (keymoney). Reason 4 : All utilities are included You do not need to pay for water, electricity and heating bills. 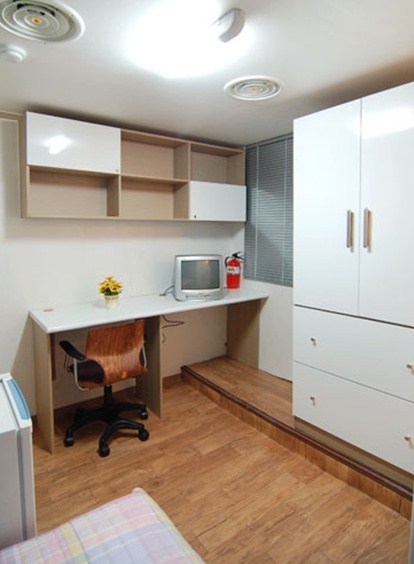 Reason 5 : Convenient & Clean Usually conveniently located near a subway or bus stop. Reason 6 : Free food Rice, kimchi, noodles and eggs are always provided free of charge.